Special Event Foods: Original Char-Broiled Corn. 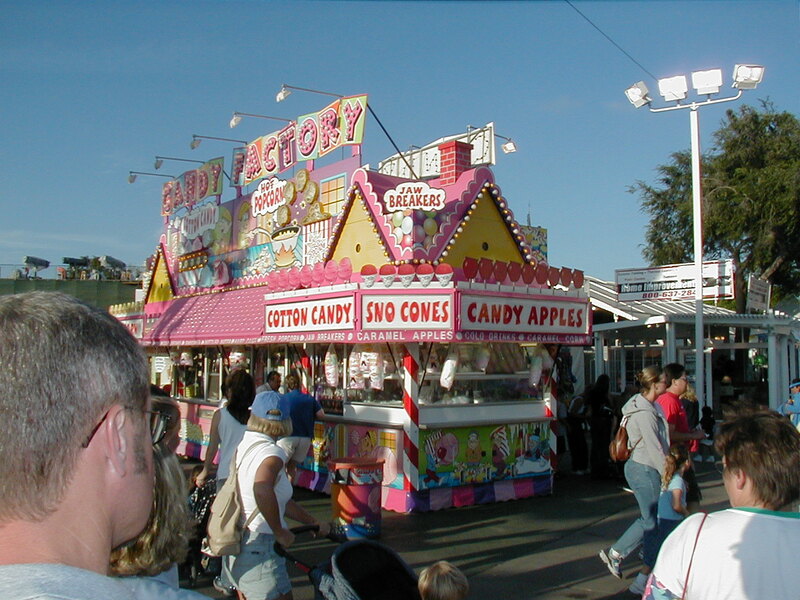 "Candy Factory" - Jaw breakers, cotton candy, sno cones, candy apples. Didn't Hansel and Gretel visit this house? 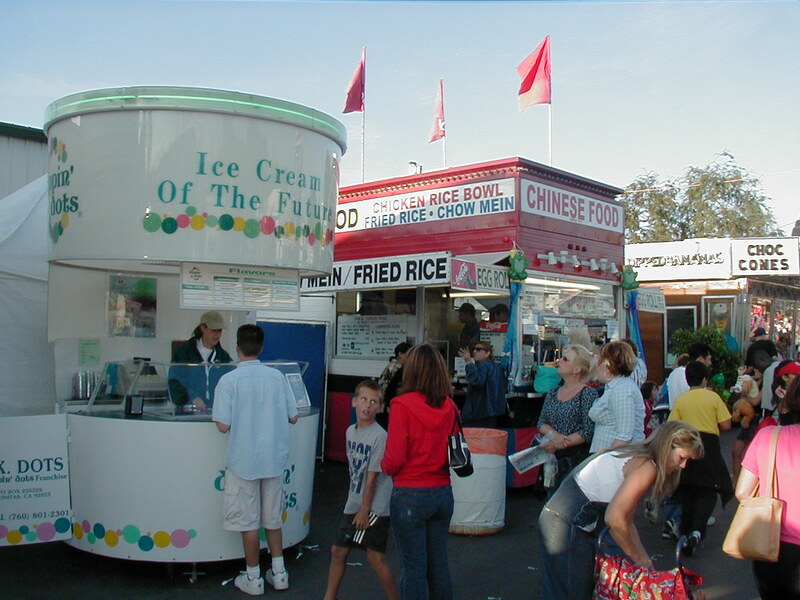 Cotton candy, apples, popcorn, sno-cones, Coca-Cola. Gingerbread Shop. Cakes, cookies, coffee. And a man walking by with an enormous bear. Roast Beef Sandwiches: Hamburgers, BBQ Roast Beef, Hot Dogs, Fries, Philly Cheese Steak Sandwich. Fish and Chips, Clam Chowder, Sweet Potatoes. Orange Julius: Hot dogs, chili dogs. Dippin' Dots: Ice Cream of the Future. Also Chinese Food - Chicken Rice Bowl, Fried Rice, Chow Mein.